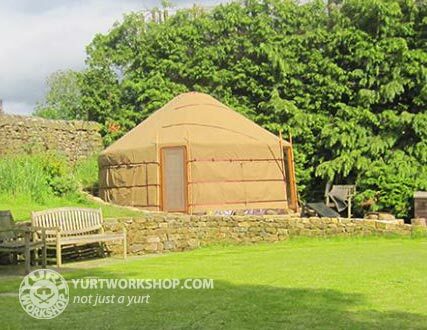 Heating your yurt is traditionally done using a wood burning stove. A well designed and well-made wood burner will heat your yurt to perfection, remaining safe and reliable during the colder months of the year. Coming home to a warm wood burner in a cosy yurt is one of the best experiences I know of. Choosing a stove is a matter of knowledge and taste. The stove must be the right power for your yurt. Below are some approximate suggestions to help you decide. Never use a cheap stove, that is our advice. Cheap stoves are dangerous, inefficient and generally look ugly. A stove needs to be as safe as possible, clean and efficient. For years now we have been supplying and using these wonderful stoves. We love these stoves, we love the simplicity, the quality and the practicality. Our customers love them too and find them the perfect match for our yurts. The stoves come in a range of sizes, the same basic design, sized for differently sized yurts. He also offers back boilers and even a range suitable for a yurt.